STM gained experience in the handling of materials to produce energy as petroleum coke, that can be considered similar to the coal in terms of handling. Petroleum coking is an environmentally responsible recycling process used in some oil refineries to make the most use of hydrocarbon residuals that otherwise would go to waste. STM designs innovative solutions for petcoke handling. In its plants all the electrical and mechanical equipments are certified ATEX to run a good and safety operation and to respect the main international regulations. STM supplied this kind of conveyor system to Eni refinery in Gela, Sicily (Italy). In this refinery, STM supplied a system in which the conveyors used in this site are known as FLOW DINAMINC CONVEYORs and has very particular features. 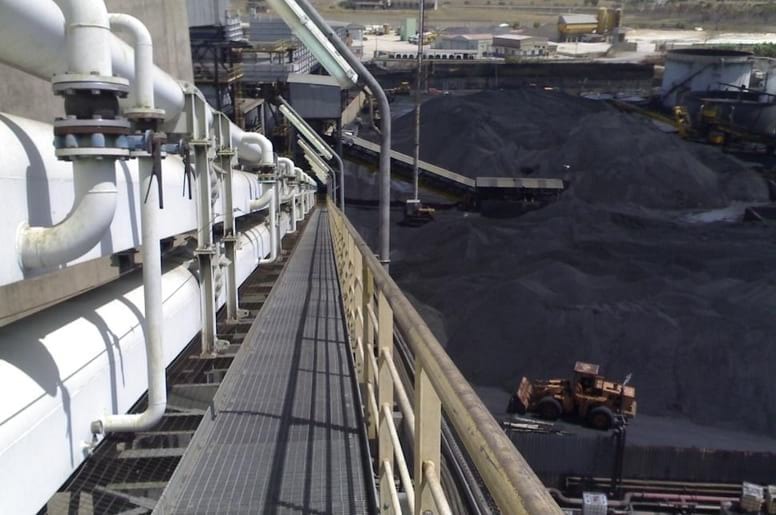 FDC Conveyor is a special conveyor for the pet coke handling in the refineries. This kind of conveyor has no rollers and his rubber belt moves on an air cushion trough blowing, up to the speed of 5 m/sec. This conveyor is specially designed to reduce to zero the fine dust emission in the atmosphere. The air jet is carried out with a pressure of only 1.5 bar, and it guarantees the absence of friction between the belt and the steel pipe.